Let’s be honest: blogging is hard work. Alongside the demand of writing regular content, thinking of new ideas for posts, and managing your business, you may find yourself going around the bend if you don’t know what you’re doing. Blogging, however, isn’t something you should miss out on. It can help you boost your sales, increase website traffic, make your presence known, and show potential clients you really know your stuff. Make a Publishing Schedule – and Stick To It! We’re creatures of habit. We love routine. So rather than publish a post whenever you feel like it (which, to be honest, may be every couple of months), consider creating a publishing schedule so readers will know when to expect your articles and updates. You don’t need to put any undue stress on yourself by posting daily, but even posting just once a week on the same day can establish a sense of routine and connect you with your readers. It’s 3pm - an hour before your next scheduled blog post is supposed to go live. The problem? You haven’t written anything yet, and you don’t know where to start. Blogging becomes so much easier when you plan ahead (trust me, I know!). Whether your list of post ideas has five items on it or 500, have something to work with so you don’t waste precious time twiddling your fingers over your keyboard, wondering what to write. One handy way to generate blog post ideas is to listen to your clients. When someone asks you a question or leaves you criticism or feedback, you may just have stumbled on something great to address in your next post. Don’t let your blog turn into a desert of blog posts with zero traffic. Search Engine Optimisation (SEO) allows your content to be discovered by the right people. This includes adding keywords that will help your website pop up on search engines when a potential client looks something up. Check out Moz's popular Beginner’s Guide to SEO, filled with the comprehensive information needed to bring your blog into the limelight. Grow your readership with an email list. Subscribers can turn into loyal readers, who can then turn into clients for your business. You can use a number of relatively inexpensive email list managers, including MailChimp and Constant Contact, to plan out, write, and schedule regular email updates. Email lists are especially great for keeping readers in the loop when blog posts go live. Yes, hiring a blogger may not be cheap, but time is money, and the time you spend managing your blog could be time spent on your business. It’s not impossible to manage your blog and your business at the same time, but employing someone on a freelance basis to write for you doesn’t have to be an unreasonable option. Hiring a professional blogger or copywriter (pick me!) is a lot cheaper than you think. 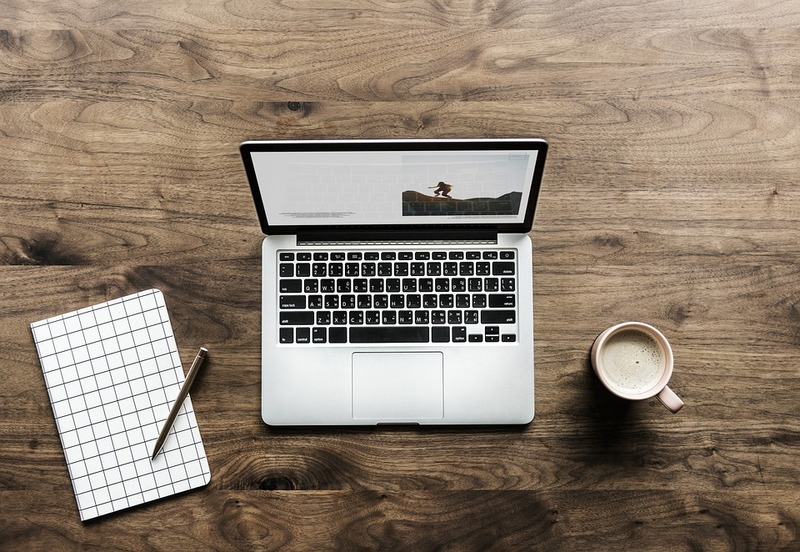 Since they’re a specialist in writing blogs, your blog will theoretically end up being better than if you’d written it yourself, leading to boosted sales that eclipse the initial cost. So, if blogging still seems daunting, leave it up to the pros! Have any more business blogging tips to share? Let us know in the comments below! For updates, you can find us on Facebook and Twitter.